For four years now Apple has been charging $400 for the iPad Mini 4. Even when it released the 2018 iPad at $330 – a tablet which boasts a 9.7-inch screen and superior specs across the board, it continued to charge $400 for an aging tablet from 2015. But if you wanted a compact Apple tablet it was your only choice. Every passing year, and at every Apple event, the rumors about an update for the Mini line would surface, but it never materialized. Until now. Apple has finally unveiled the iPad Mini 5 and retired the old model. The fact that Apple chose to do it quietly, without the usual Apple event, tells you everything that you need to know about this limp update. At first glance, the new iPad Mini looks identical to the old one. At second glance, it still looks identical. That’s because it is identical. It has the same big bezels above and below the 7.9-inch screen; the same Touch ID home button; the same aluminum back in the same space gray, silver, or gold colors. What has changed? Apple has put a new processor inside, upgrading from the A8 to the A12 Bionic, which is the new chip powering the iPhone XS, XS Max, and iPhone XR. It has tweaked the storage options to 64GB or 256GB. It has replaced the 1.2-megapixel front-facing camera with a 7-megapixel camera. Other than that, the display now supports the Apple Pencil and TrueTone technology with a wider color gamut. If you waited four years for this, you’d be forgiven for being a little underwhelmed. It’s the bare minimum. Apple hasn’t even changed the price – it will start from $400 just like its predecessor. You have to feel sorry for any poor sap who bought an iPad Mini 4 recently. Alongside the new iPad Mini, we got another new iPad – an unexpected new iPad Air. It replaces the outgoing 10.5-inch iPad Pro. At first glance it looks identical to the iPad Pro it’s replacing. At second glance…you get the picture. Apple has stuffed some slightly less impressive guts into an old 10.5-inch iPad Pro chassis and released it as the iPad Air, which starts from $500. Now, the 2019 iPad Mini is for people who want a compact tablet. The iPad Pro — which starts at $800 and up — is for professionals, and the $330 9.7-inch iPad is for everyone. Who is the iPad Air for? Honestly, who is it for? I have no idea why anyone would buy it over the $330 iPad from 2018. Paying an extra $170 for a slightly bigger screen and a slightly faster processor seems like a big ask. It seems to sit uncomfortably in an unappealing middle ground. Not powerful enough to be an iPad Pro, and not cheap enough to be tempting. But presumably people stopped buying the 10.5-inch iPad Pro when the newer models came out, so Apple decided to repurpose the design. Apple is the only company that can get away with this kind of thing. The fact that it’s already manufacturing tablets with these designs makes it inexpensive for Apple to tweak the guts and rake in more profits. It did the same thing with old iPhone 5 skeletons, pressing them into service as the iPhone SE with all new insides. If you believe Apple’s hype about what good design is and the direction it’s working towards, then you have to frown as it dusts off old designs like this and calls them new. The 11-inch and 12.9-inch iPad Pro models show the direction Apple is going in with genuinely next generation tablets. It’s impossible to get excited about these new iPads because they aren’t exciting, and Apple knows that. Apple tells us that facial recognition is more convenient and secure than fingerprint scanning, which is true. It tells us that USB-C is the way forward, which is also true. It tells us that we don’t need a headphone jack anymore, which is more debatable. It shrinks down the bezels and squeezes maximum screen into its devices. Then it goes back on all this and asks us to buy a four-year-old design. The “new” iPads also bring Apple Pencil compatibility, but only the first generation Apple Pencil. 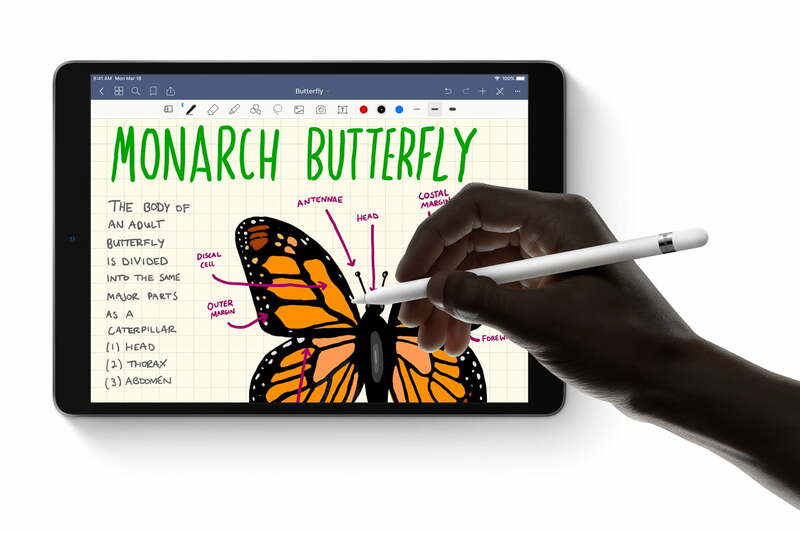 The second generation Apple Pencil, which is also just called the Apple Pencil, and came out six months ago, does not work with the new iPad Mini or iPad Air. This is bound to confuse people. It’s impossible to get excited about these new iPads because they aren’t exciting, and Apple knows that. Rather than congratulate it for upgrading the Mini line at last, you have to wonder why it thought it was acceptable to keep selling a four-year-old tablet for $400. 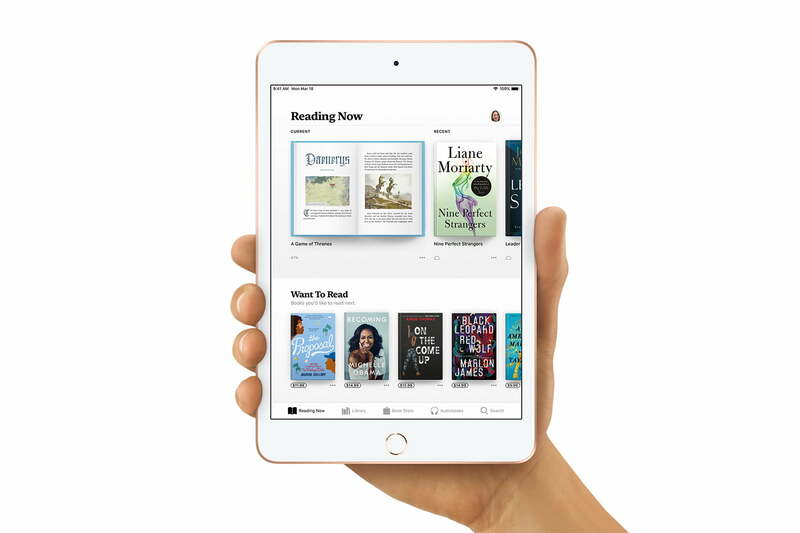 The new iPad Mini and the iPad Air feel like lazy updates that are more to do with shifting old stock than creating something truly desirable.